Jeff, the founding principal of Envision Engineering, has built a reputation of trust and confidence with many local entities such as the Salt Lake City Department of Airports, the Davis and Granite School Districts, the University of Utah, and the Salt Lake City Corporation, among others. He manages a small number of projects and offers heavy principal involvement to the remainder under his charge. Since 2011, Jeff has been carefully building a qualified, responsive team of project managers and designers. Jeff founded Envision in 1994 as Owen & Associates. He continues his full-time involvement in the company with principal-level leadership in project management, best-practices design, improving client services, and expanding Envision’s presence in the market as a quality design firm. Because of Jeff’s design efforts with the Davis School District, Envision has become a K-12 sustainable electrical design leader in the local market. Projects with the District such as the new Odyssey Elementary, Kay's Creek and Canyon Creek Elementary, and the District's new Middle School and Farmington High School all demonstrate the use of net-zero electrical design, high energy efficiency, and a tailored blend of daylight harvesting, LED lighting, and advanced system-wide controls. Now Envision continues on its journey with the Granite School District, beginning the two state-of-the-art 21st century high school rebuilds of Skyline and Cyprus High ($160M combined). Jeff's also heavily involved in the Salt Lake City International Airport's new Terminal Redevelopment Program ($1.8B). Envision's team electrically designed the Quick Turn-Around Facility (QTA), the Rental Services Site (RSS), the new Parking Garage, Existing Concourses and Connectors, and complete fire alarm design for the Terminal, North and South Concourses, Gateway, and the Central Utility Plant. 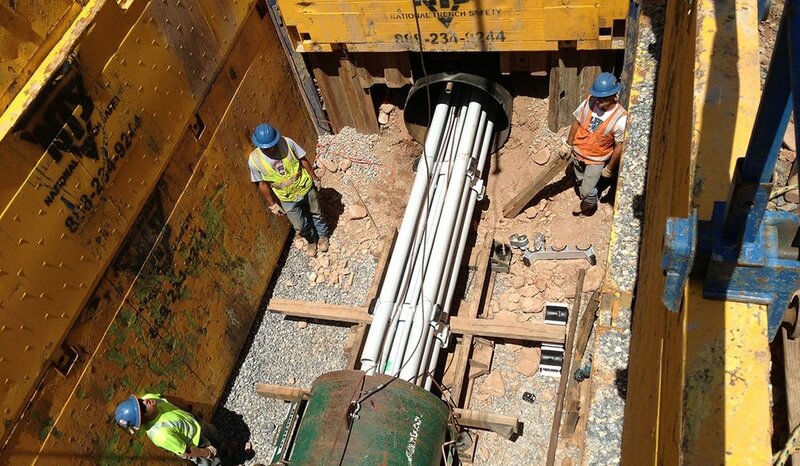 Jeff and his team of engineers designed the electrical upgrade / replacement of the existing underground medium voltage (12,470V) electrical distribution system throughout the entire University of Utah lower campus (west of Wasatch Dr./Mario Capecchi Dr. and the Married Student Housing). The bulk of the $86M project spanned four years. Jeff was Principal-In-Charge. This elementary school, along with Kay's Creek Elementary, were both copies of the original Davis School District flagship net-zero prototype, Odyssey Elementary (2014). Both Canyon Creek and Kay's Creek have solar panels installed. This model has become the new standard and base for the District's future elementary builds. Jeff is PIC over 95% of the District's current builds.